New York: Reynal & Hitchcock Publishers, 1944. First edition of Smith’s classic novel. Octavo, original cloth. Near fine in a very good dust jacket with a few small chips and tape repair. Jacket design by Richard Floethe. 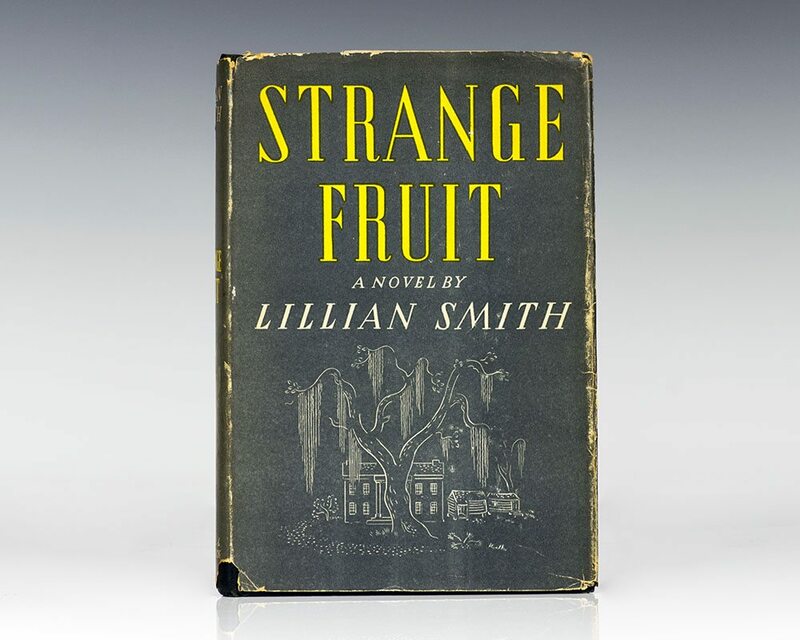 When it was first published in 1944, Strange Fruit sparked immediate controversy and became a huge bestseller. It captured with devastating accuracy the deep-seated racial conflicts of a tightly knit southern town. Smith, Lillian; Illustrated by Constance McMillan. New York: W.W. Norton & Company, 1962. 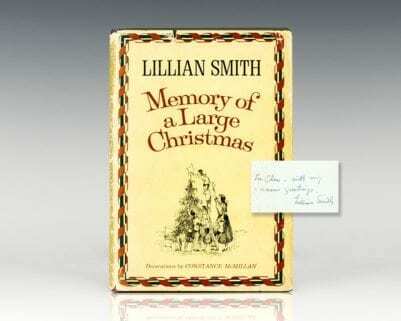 First edition of this “beautifully written book which should be read by families at Christmas time as Dickens’ Christmas Carol used to be” (The New York Times Book Review). Octavo, original cloth. Presentation copy, inscribed by the author on the front free endpaper, “For Clare- with my warm greetings, Lillian Smith.” Decorations by Constance McMillan. 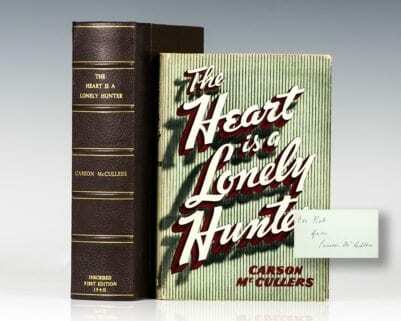 Very good in a very good price-clipped dust jacket with some wear to the extremities. Rare and desirable signed and inscribed.